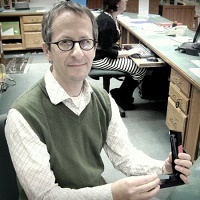 I'm currently the Library's Technical Services Librarian, overseeing cataloging and systems. I also coordinate the Library's electronic resources, manage the Library website take on other digital projects. I'm the Library Department Chair for 2018-19. I'm also the administrator for these Research Guides, so if you notice a problem or have other feedback, please feel free to contact me.